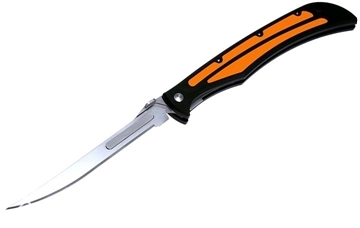 The Baracuta-Blaze is a top choice for hunters and anglers looking for a bigger knife that packs an extra punch. The Blaze features our high-quality surgically sharp #115XT hunter’s blade, ideal for skinning and deboning big game. It also fits our #127XT fillet blade and #115SW serrated bone saw blade. With its unmatched 3-in-1 capability, the Blaze is the most versatile and convenient hunting knife you’ll ever use. The Baracuta-Edge is a top choice for hunters and anglers looking for a bigger knife that packs an extra punch. The Edge features our high-quality surgically sharp #127XT fillet blade, ideal for filleting and deboning fish and other wild game. 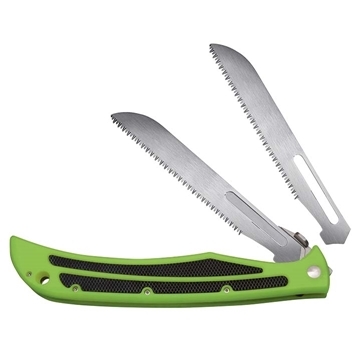 It also fits our #115XT hunter’s blade and #115SW serrated bone saw blade. With its unmatched 3-in-1 capability, the Edge is the most versatile and convenient fillet knife you’ll ever use. The Baracuta-Z is a top choice for hunters and anglers looking for a bigger knife that packs an extra punch. The Z features our high-quality surgically sharp #127XT fillet blade, ideal for filleting and deboning fish and other wild game. 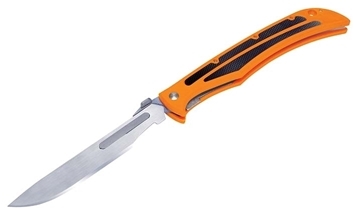 It also fits our #115XT hunter’s blade and #115SW serrated bone saw blade. With its unmatched 3-in-1 capability, the Z is the most versatile and convenient fillet knife you’ll ever use. The Baracuta-Bone Saw is a top choice for hunters and anglers looking for a bigger knife that packs an extra punch. The Bone Saw features our high-quality surgically sharp #115SW serrated bone saw blade, ideal for cutting through the bone of wild game. It also fits our #115XT hunter’s blade and #127XT fillet blade. With its unmatched 3-in-1 capability, the Bone Saw is the most versatile and convenient hunting knife you’ll ever use.